The beautiful buildings of the former ceramic Sphinx factory in Maastricht provide the location for the latest project of Studio Modijefsky. The industrial heritage site has been transformed into The Commons, a contemporary restaurant and bar for the site’s new inhabitants - The Student Hotel. 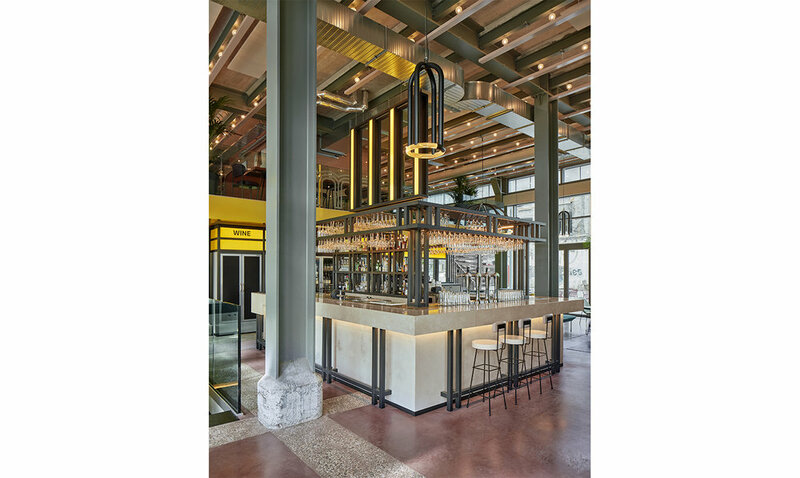 Located in the newest part of the monumental complex and spreading across three levels, ‘The Commons’ has a bold and vibrant interior, celebrating the heritage of both the site and the production process which used to take place in the old factory. 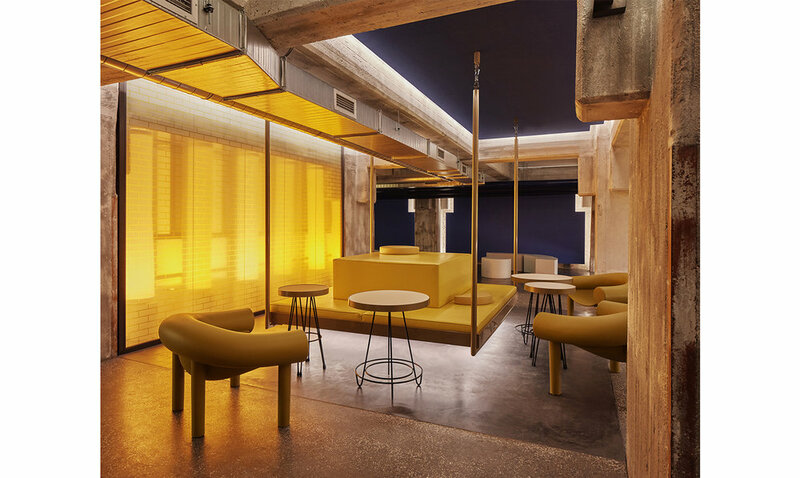 All levels of the restaurant are linked together by conceptual elevators - leather daybeds in various shapes and colours, suspended on metal rails. This playful reference is a nod towards the horizontal skyscraper theme and encourages people to use the restaurant more freely through a clever placement of chillout furniture. The most abstract of the ‘elevators’ is a small stage located in the basement. This ‘elevator music stage’ with its mirror-and-light ceiling can also be easily closed off using silver curtains and turned into a tiny private dance floor. 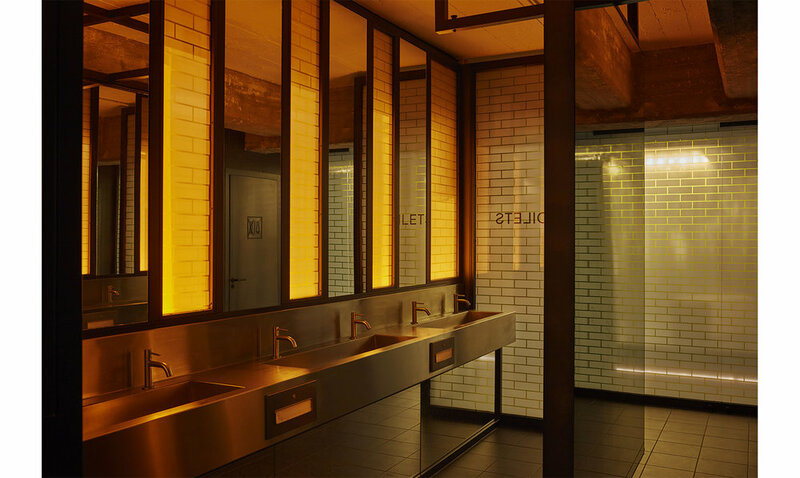 The industrial heritage of the building is constantly celebrated throughout the restaurant. 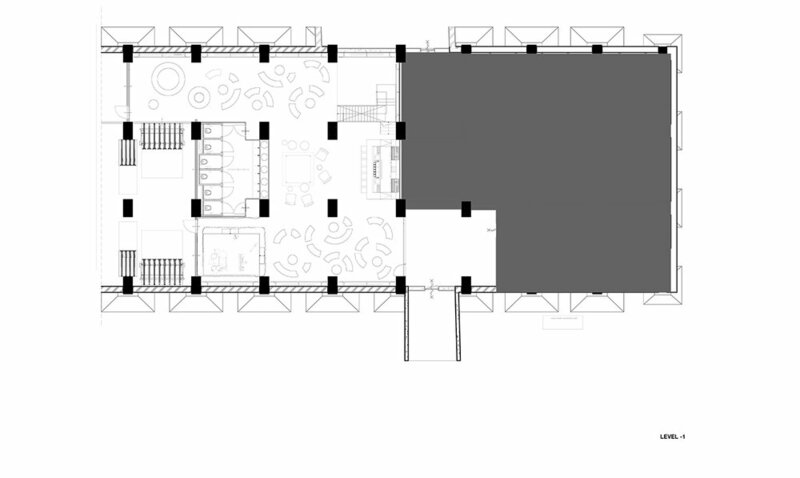 Floor finishes used on both ground floor and mezzanine levels were designed to highlight the grid of the existing columns. Custom made track lighting emphasises the original steel ceiling beams. A fresh take on brick pattern appears in the basement and continues upstairs, referencing tall pottery ovens that used to stand in those spaces. The shape of the pottery moulds and the tools used to make them have been used yet again, this time translated into dramatic industrial chandeliers, dividing the interior into different zones. The hard, geometrical shapes of the structure together with the soft clay inspired shapes create a very bold but harmonious interior.